When to see your Hand Surgeon? Xiaflex® is FDA approved medicine. 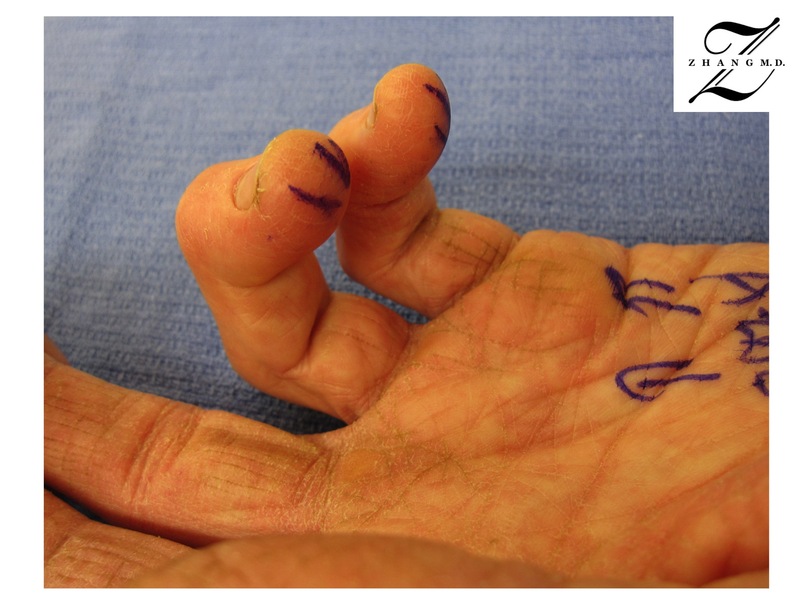 It is a mixture of class I and II collagenase that weaken the Dupuytren’s cord tissue. The medicine is injected in clinic into the cord tissue. It’s common to have an inflammatory reaction with some swelling and redness in the next few days. You will return to clinic in a few days to one week for manipulation. 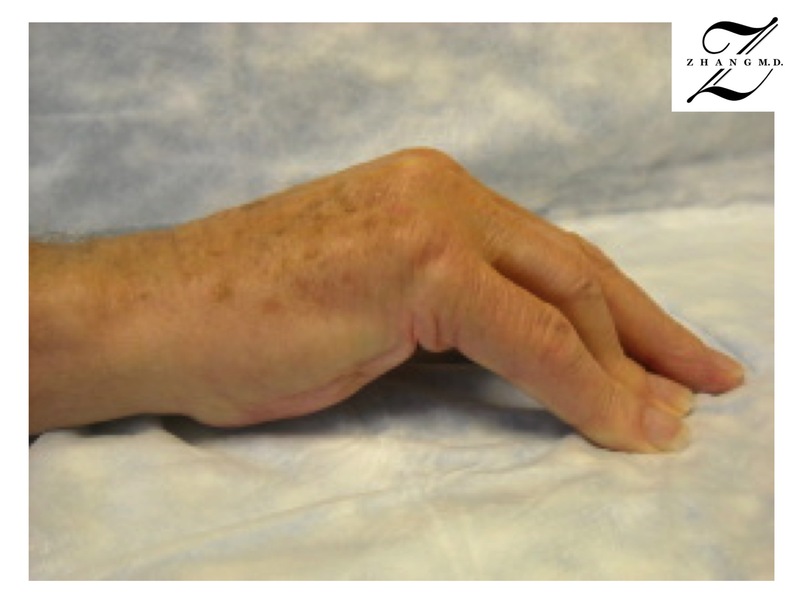 At the time of manipulation, your hand is numbed up and traction is applied to break the cord. After the procedure, a soft dressing is applied, you can use your hand normally and a night-time splint is provided for 3 months. There are pros and cons for each procedure Consult with Dr. Zhang.